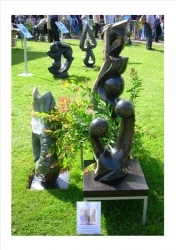 Chique Afrique, exhibits Garden Sculpture at a number of key outdoor Garden Shows and Fairs each year, from May to November. 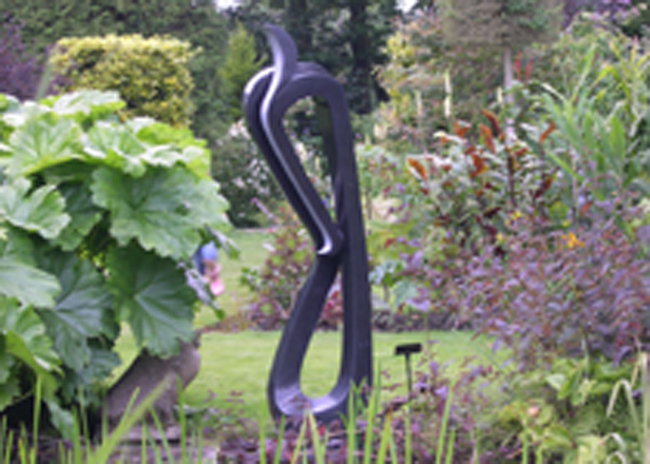 They also have created a Garden of Sculpture with Interior Showrooms in the heart of Cheshire. The Gardens are open once a month during the Summer, from MAY to OCTOBER, weather dependent. The aim, at these public events, is to introduce new visitors to the wide range of art available from Zimbabwe and show how beautiful and diverse their stone sculpture can be. For those of you who have not visited before, you will not be disappointed. Whether visiting one of their summer exhibition stands, at Leighton Hall, Arley Hall or Southport Flower Show, Christmas Fairs, at Chatsworth and Capesthorne Halls, or visiting their Sculpture Garden in Mobberley, their displays allow you to see, touch and experience the impact of each individual sculpture in a relaxed and natural setting. The Sculpture Garden and Showrooms in Mobberley, are open one Sunday a month from Easter until October (dates will be posted in advance). Arrange your Visit, for when you are in the area, its easy, just contact Liz or James, at least 2 weeks before hand, by telephone or email and they will help you make your arrangements. The Gardens are set in the heart of the Cheshire countryside, in a tree lined garden, with ample seating and relaxing areas to enjoy a glass of wine or a cake and coffee! With over 300 different pieces to view they are sure you will enjoy viewing the stunning creations created by these talented Zimbabwean Artists. Just to help you plan your journey a little, Mobberley is a village surrounded by five great Country Pubs and Restaurants giving visitors the chance to fully relax either before or after their visit. Just give them a call and they will send a leaflet with more details.